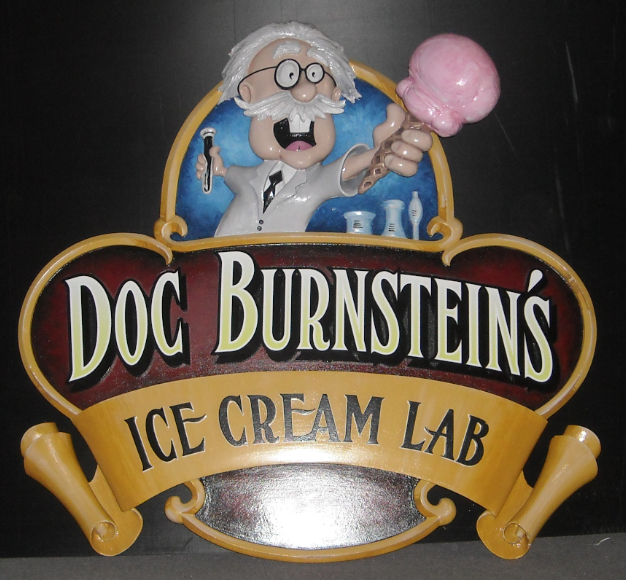 Mark Blackford, owner of Signcraft in Santa Maria, CA sent us some excellent in-process pictures of a sign they made for Doc Burnstein’s Ice Cream Lab in Orcutt, CA. The sign was hand-carved from Precision Board Plus PBLT-15, except for the border which was cut on their ShopBot CNC Router. It was then painted using 1-Shot..